Raw evil fascinates and repels. It obliterates every vestige of life, on some level. This may account for the continuing fascination of historical novels set in World War II, in which readers glimpse this darkness, but from a distance. 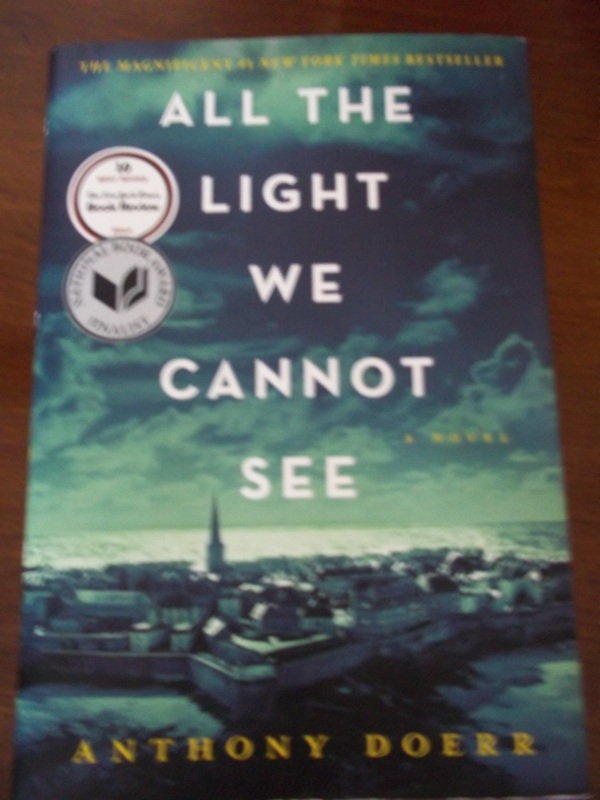 The author Anthony Doerr presents just such a broken world in All the Light We Cannot See (2014), A National Book Award Finalist. Pitted against this insanity are two teenagers of exceptional spirit: the blind French Marie-Laure and the German orphan Werner. Significant childhood losses do not deter them from forging ahead into harrowing experiences, even with war breaking over their heads. Compounding this mayhem is the sinister Sergeant Major VonRumpel, gemologist for the Reich; he is desperate to locate the Sea of Flames, a mythical diamond believed to be in the possession of Marie-Laure’s father, the principal locksmith at the National Museum of Natural History in Paris. Through a series of plausible synchronicities, the author brings these characters together into the walled port city of city Saint-Malo on the Brittany coast before the Allied bombing in August 1944. Some survive. The book’s title, All the Light We Cannot See, suggests a protecting Light guiding those teens through monstrous evil. This Light is also available to us as we wake up to similar darkness within and around us.